We carry a large variety of fruit trees that do well in our area. Please call us for pricing and availability. 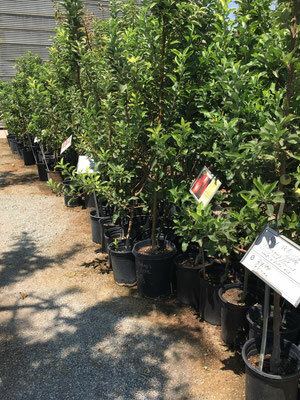 We have citrus trees available in 5 gallon or 15 gallon size. They also come in 2 growth types- standard or semi-dwarf. 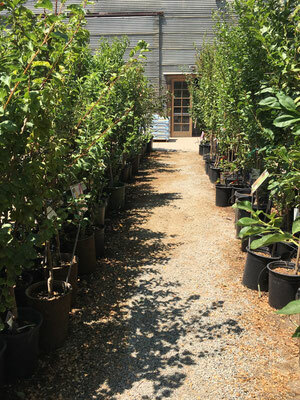 Standard trees are full size, and depending on variety can reach up to 25 feet tall. Semi-dwarf trees grow slower and are much smaller. Most don't get taller than 10 feet. 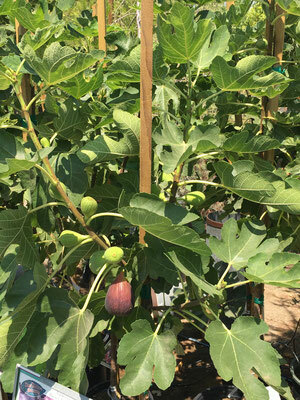 Here are the different varieties we carry. Washington Navel, Cara Cara Pink Navel, Lane Late Navel, Moro Blood Orange, and Valencia. Eureka, Meyer, and Pink Lemonade. Bearss, Mexican (also known as Key Lime), Kaffir Lime, and Sweet Lime. Algerian, Dancy, Gold Nugget, Honey, Kishu Mini, Page, Satsuma, Tango, and Yosemite Gold. Cocktail, Oro Blanco, and Rio Red (very similar to Ruby Red in flavor but better for a hot climate). Fruit Cocktail Citrus trees are a multi-graft tree that we carry with several different kinds of fruit, usually and orange, a tangerine, a lemon, a lime, and a tangelo. These are only available in standard size. We also carry Calamondin, Fingered Citron (Buddha's Hand), and Yuzu when available. Please call us to check what we have in stock currently. 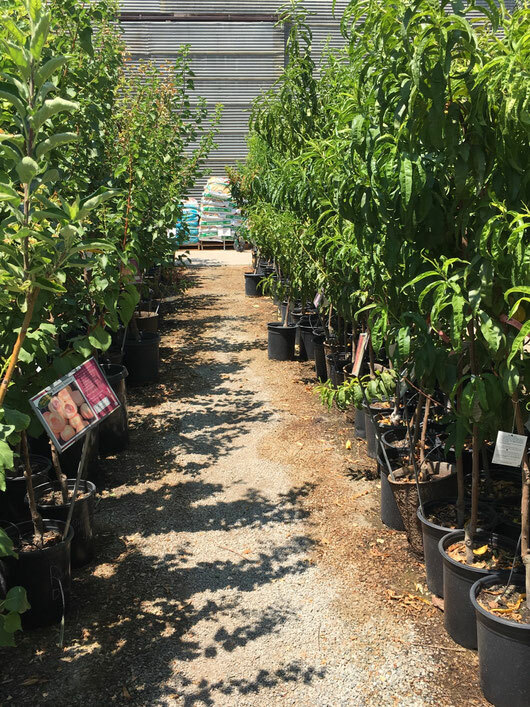 We carry apples, apricots, apriums, Asian pears, cherries, figs, nectarines, peaches, pears, persimmons, pluerries, plums, pluots, and pomegranates. We also have some specialty trees like multi-graft epaliered apple trees, and multi-graft stone fruit trees (these contain a selection of peaches, nectarines, and plums on one tree). 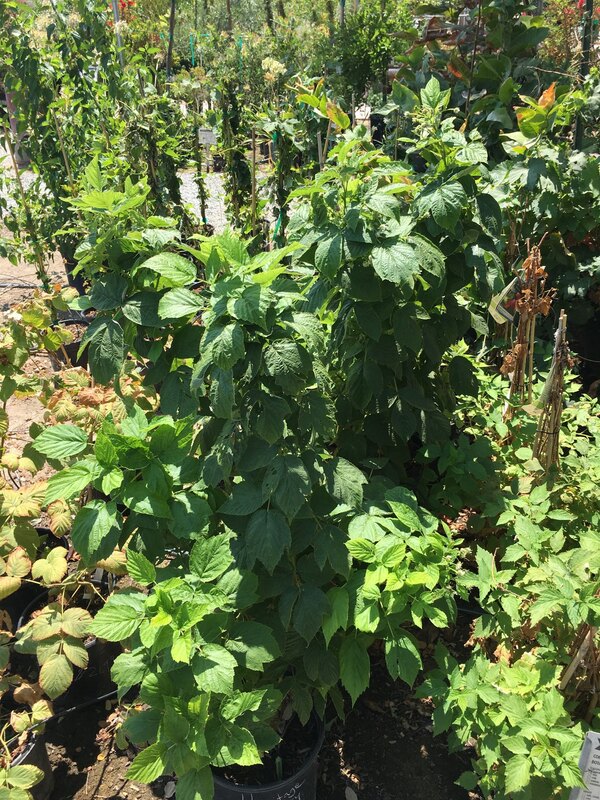 We have miniature peaches and nectarines as well. A list of what we carry is below. Please call us for pricing and availability. 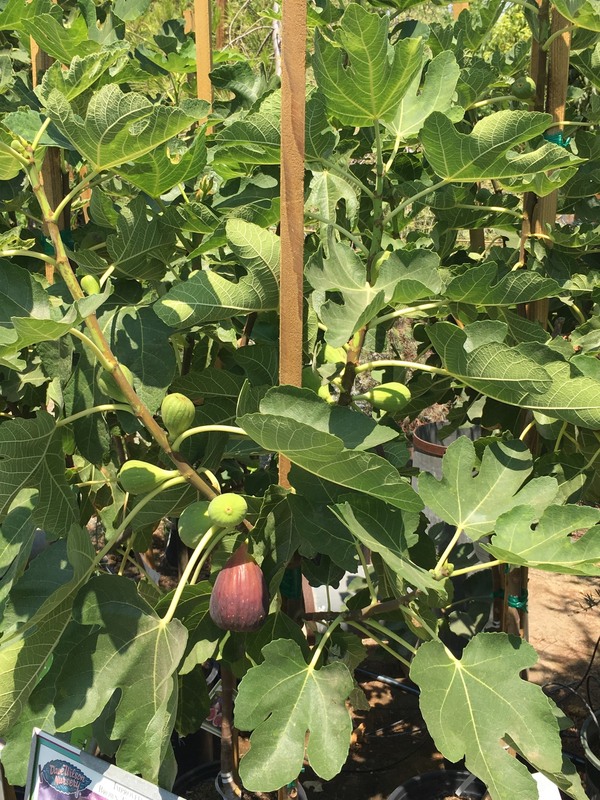 An overview of the fruit trees we carry for the year. 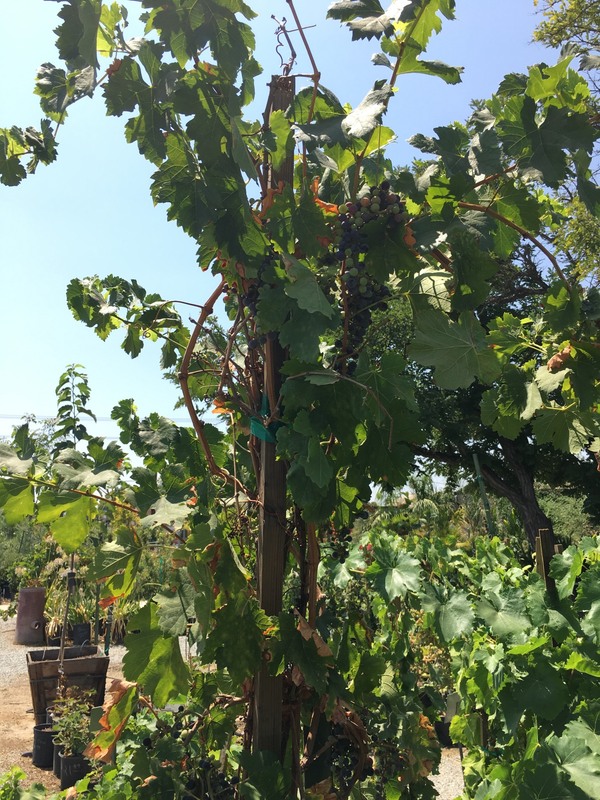 We also carry fruiting olives (call us for varieties available), many varieties of grapes including wine grapes and seedless varieties, and berries, including blueberries, raspberries, blackberries, boysenberries, and fruiting mulberry trees. 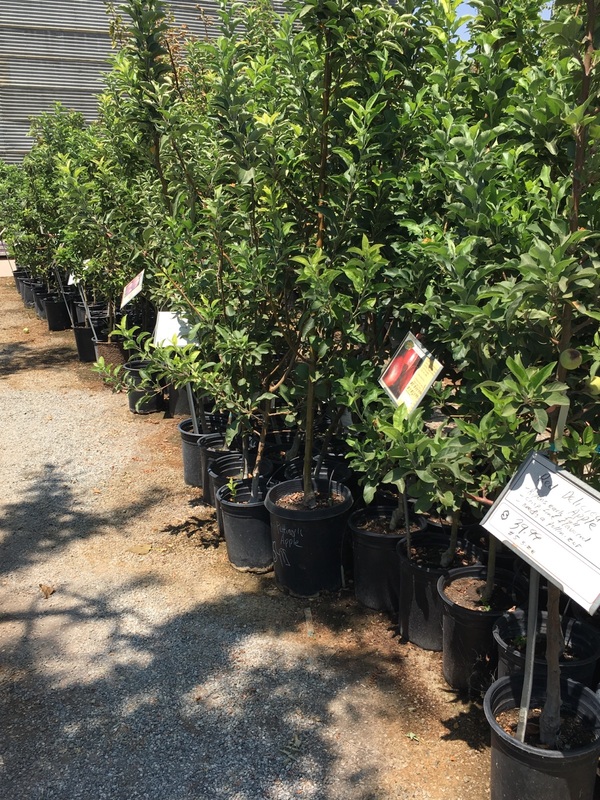 We also carry jujube trees, loquat trees, and a selection of nut trees, including walnuts, pecans, pistachios, and almonds. Please call us to check what's in stock currently.